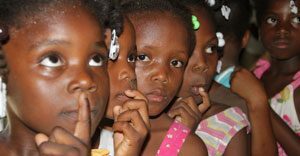 Music and singing are important parts of Haitian culture. This is also true for Petit Troll, music and singing is an integral part of the school day. Every morning starts by singing the national anthem in the school yard. In the fall of 2011, we also started an organised choir. 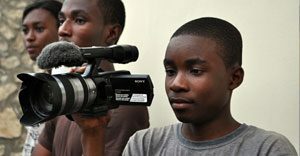 ‘Screen – Connecting youth through film’ is a film project for youth, funded by the Peace Corps with partners in Haiti, Norway, Kenya and South Africa. The partner organizations exchange youth in the age between 18 and 25 to work with film and film related activities. 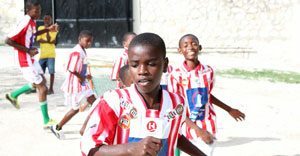 During the summer of 2007 a sports club was started for and by the students at Petit Troll. Local youth have been trained as coaches and the sports club now has several excellent and motivated coaches and a bunch of energic participants. Three weeks every summer, a summer camp is held for the students of Petit Troll. 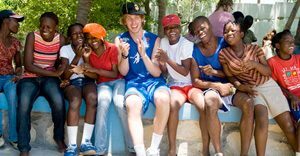 The camp is very popular and almost all the students participate. 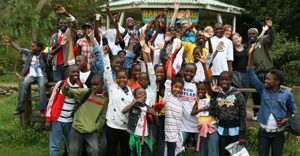 In order to follow up the students after they have finished elementary school, Project Haiti offers various activities aimed at keeping the youth connected to Project Haiti. The youth club offers various activities to youth in the age group 13 to 26 years.